Having a pool is fun, right? Sure, it is a way to relax and cool off during the hot summer days but it’s also something that requires quite a lot of care. Maintaining the pool is not only necessary for its appearance, but it’s a health requirement that you can’t afford to look past. What is more, there are statutory regulations covering pool cleaning and they ought to be abided by. That’s where our professional swimming pool services come into the picture. We are going to make sure that everything related to your pool is handled as per the highest industry standards and that you receive a service which is tailored to your needs. Here at Prosco.com, you will find that we offer a comprehensive line of services which are geared towards covering a large span of demand. Our pool cleaning services entail a range of activities, so let’s give it a go. We have a lot of different pool cleaning scheduling options for you to choose from. Regardless of whether you need weekly, bi-weekly or monthly pool cleaning, we are here to make sure that you get the best of it. We are going to keep your pool up and running as well as ready for diving throughout the entire time. We have professionals who will always arrive prepared with the best and most contemporary water testing technology and a range of different treatment solutions. We will communicate proactively in order to make sure that we have all the necessary advanced information. This is going to allow us to make sure that we are perfectly prepared. We are also incredibly environmentally-aware. That’s why we make sure that every single leaf that we get out of your pool is safely returned to the wild. As soon as the heat starts to settle in, you should be ready to cool down in your pool. Our pool cleaners are capable of helping you open the pool back up right after the heavy and cold winter has passed. This is going to enable you to enjoy the summer time with your friends and family throughout the entire period. 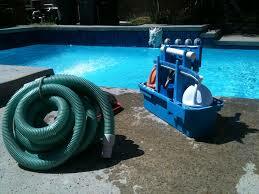 Our pool cleaning services are both effective, cost- and time-effective. You will receive a swift pool cleaning service which and you wouldn't have to go through this burden on your own. The only thing that you'd have to do is enjoy your summertime. As much as we hate to see the summer go away when that time comes, you need to make sure that you are prepared for it. You need to make sure that your pool is properly prepared for the winter in order to potentially prevent a range of different issues coming up. Furthermore, you should also know that winterizing your pool is going to help you get it back open and ready for use when the time comes. This is also going to ensure that your pool is perfectly functional and that it withstands the challenges of the freezing weather. Maybe you are the one who’s handling the general and daily maintenance of your pool. There’s nothing wrong with that and quite a lot of people prefer to do it. However, don’t you just hate it when you’ve been on a vacation for a few weeks and you come back to find out that your pool is covered in leaves, dust, and debris. This is where you might hate the fact that you haven’t scheduled a visitation with our professionals. Worry not, though, as it’s not too late! No pool is actually too dirty for our professional and experienced pool cleaners. We have what it takes to make sure that everything is handled as per the highest standards. Give us a call and we are going to conveniently restore the health of your pool and we will help you get it in the perfect condition. Handling your pool and making sure that it remains in the conditions that it needs to be in all the time is a time-consuming and rather challenging endeavor. What is more, you should know that there are certain regulations that you’d have to abide by. Having a pool and maintaining it properly is required by law in order to maintain the necessary health standards. Pools are treated with chemicals and it’s important to make sure that everything is handled as per the established standards. This is very critical for your safety and for the safety of everyone who gets into the pool. With this in mind, we are experienced and reliable enough to ensure that we take care of everything down to the tiniest detail. That’s what we’ve been doing for the years of working experience that we have. We are going to make sure that your pool is perfectly tended to and that you can safely cool off during the hot summer days. Regardless of whatever it is that bothers you when it comes to pool maintenance, give our team here at Prosco.com a call and we will handle it for you!